How to put YouTube videos on iPod Touch? This guide will give you the answer. 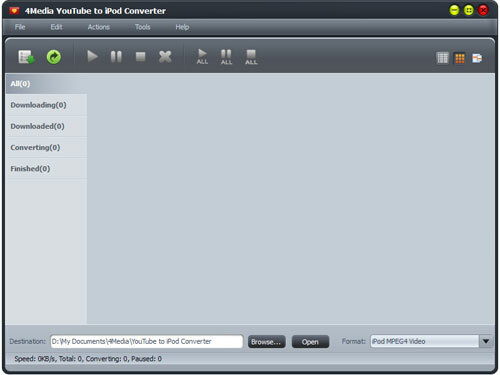 With 4Media YouTube to iPod converter, you can download and convert YouTube videos to iPod Touch in 1 step. Before we start, please download 4Media YouTube to iPod converter and install it firstly. 4Media YouTube to iPod Converter offers many ways to download+convert YouTube videos to iPod touch. Choose one from the options provided below. 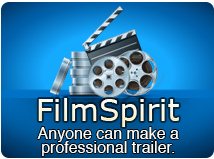 Visit www.youtube.com with Internet Explorer browser and browse your favorite YouTube videos. Right click the YouTube video thumbnail or URL, and select "Download with 4Media YouTube to iPod Converter" option from the right-click menu to open the New Download Task. In the New Download dialog, you can set the destination folder and choose the output format. Here, you need to choose the output format as "iPod touch H.264 Video" or "iPod touch MPEG 4 Video". Then start to download+convert. Just drag and drop the YouTube video URL directly to 4Media YouTube to iPod Converter to create a New Download task as method 1. Set output format as "iPod Touch H.264 Video" or "iPod touch MPEG 4 Video". Then start to download+convert. Click "New Download" button on the toolbar to open the "New Download" dialog, and copy the URL of the YouTube video you want, then paste it into the "URL" textbox. Set output format as "iPod Touch H.264 Video" or "iPod touch MPEG 4 Video". Then start to download+convert. .In New Download dialog, the "Start Now" option is selected by default. If you don't want to start the new task promptly, then set the option as "Manual". And then you can choose more videos to download+convert at the same time. Surely, in this process, you can manage each downloading task at will. The converted videos are ready for your iPod touch. Just transfer them via iTunes or transfer more easily using 4Media iPod to PC Transfer.